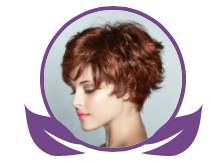 Eliza Beauty Salon based in Herndon Virginia, United States was established in 2015. We are a full service salon that provides numerous beauty and hair services such as haircutting, styling, hair extensions, hair relaxers, body waxing, facials, hair coloring, advanced hair treatments and more. ﻿Whether your style is classic or modern, mild or wild, we can help you achieve the look you are hoping for. Come in for a quick touch up, or a complete makeover. Our mission is to offer the highest quality of services to our guests utilizing advanced levels of expertise, experience and education in a team based environment. We are fully committed to providing expertly crafted, innovative and artistic services. We continually search the industry market place for the newest technology and the finest in hair and skin care in order to provide our clients with the utmost in the beauty care experience.